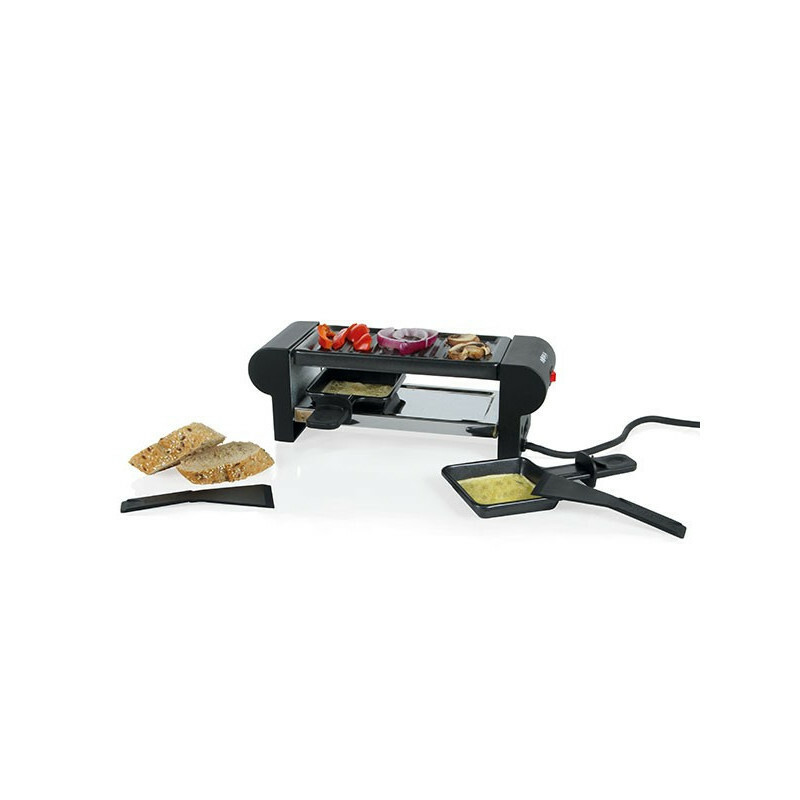 Discover fun and delicious racelette with the double Raclette Mini from the Pro Collection. Perfect for 2 people on a cold fall or winter evening, this set (220V) includes 2 enamel pans, 2 spatuals, and a removable grillplate. The name 'Raclette' comes from the French word racler, which means to ' scrape '. The cheese is heated on one side, and then scraped onto potatoes potatoes, pickles and onions. After about 3-4 servings, a crispy crust appears on the edges of the cut surface which is then cut off with the sharp side of the raclette knife and served along with the raclette. The Taste is unbeatable. The whole set is dishwasher safe.